Your crew is the best around - through breakups,parties and all the growing up, they’ve been your go-to girls and best support system. Now they are going to stand by your side on one of the biggest days of your life: your wedding! You want to thank them, but how? Well, we think these services are the best bridesmaid gifts to give before the big day. Check out how you can say “thanks” and get them feeling gorgeous and glowy. At LifeScape Premier, we are huge believers in medical aesthetics and skin care. We are also huge believers in looking incredible on your wedding day. It’s a pretty important day, right? Lifelong memories will be made and photos will be snapped. It’s really a time to be looking your absolute best! We know you want to look good, and we know your bridesmaids want to do you justice with their glow. So instead of cliche bridesmaid gifts, why not treat them (and yourself) to skin treatments? Here are some that we recommend to really amp up your natural beauty. Chemical peels can reveal younger-looking, smoother skin by reducing fine lines, age spots, and acne scars. VI Peels represent the next generation of chemical exfoliants unlike any others you might have experienced. Each treatment includes a specially formulated post peel kit which is an essential component for treatment success, ensuring superior results to improve the skin. The Precision Plus booster system was made specifically to treat stubborn melasma and hyperpigmentation. Hydroquinone and kojic acid are added to this formulation to effectively target moderate to severe pigmentation. HydraFacial with Boosters is a 3-step cleanse, extract and hydrate treatment that takes only 30 minutes. With boosts tailored to your specific skin care, these nourishing facials can address all skin types of both men and women. Dermaplaning is an excellent treatment for freshening and vitalizing skin. This treatment may also be used to enhance the absorption of a chemical peel. Our Skin Care professionals carefully exfoliate the top layer of the skin with a specialized surgical blade. The process removes dead skin cells, peach fuzz, and stimulates new skin development. This treatment will also have the added benefit of allowing your makeup to go on much more smoothly. And who doesn’t love smooth, flawless foundation? Ditch traditional bridesmaid gifts and set up a spa day for you and your girls. 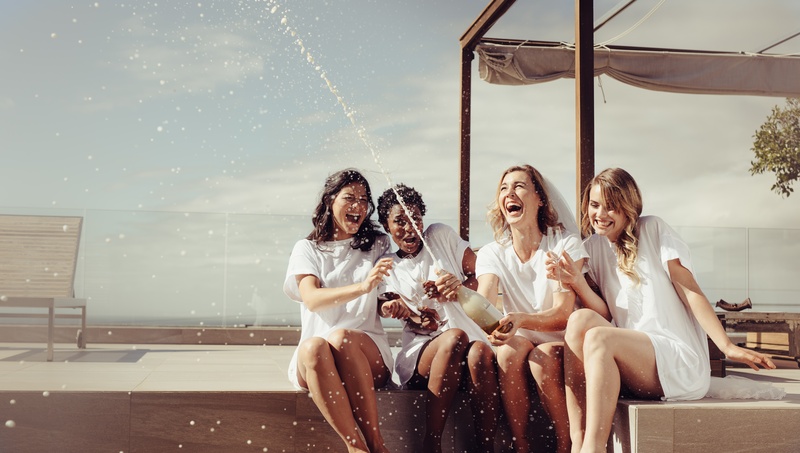 Choose treatments that are right for your skin and watch as you transform into the gorgeous bride-to-be that you are (and your crew won’t look too bad either). Cheers to beautiful skin on your most beautiful day! Looking to have the glowiest skin ever for your wedding? Book a Consultation with Lifescape Premier today!